This talk will highlight our region’s complex food economy and examine what the San Antonio Food Bank's clients look for when it comes to grocery stores and corner stores, farmers markets, healthcare, and more. For those interested, the luncheon will conclude with a tour of the garden (farm) and highlights of the properties water, wind, and solar powered features. Visit https://safoodbank.org for more information. *In light of the coastal crisis, we will also be discussing the Food Bank’s Hurricane Harvey relief efforts! 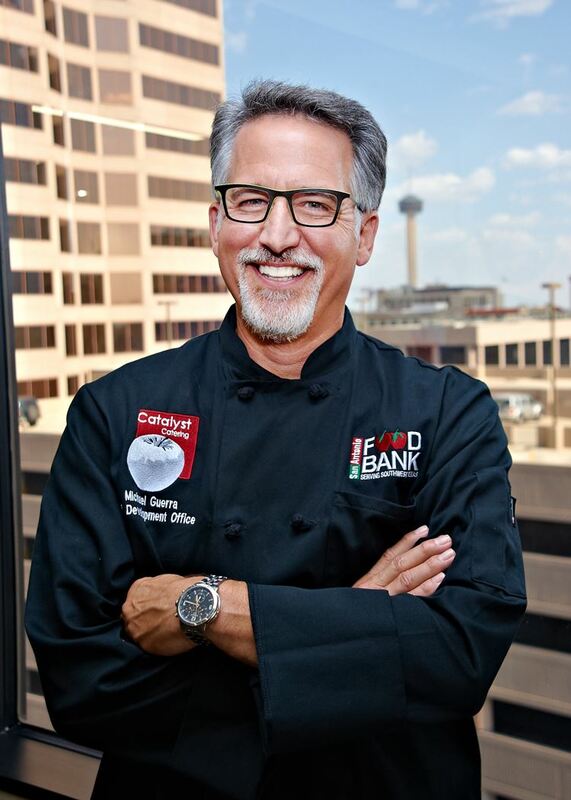 Michael Guerra is the Chief Development Officer (CDO) at the San Antonio Food Bank in San Antonio, TX. In this executive leadership role, Guerra oversees more than $140M in annual food sourcing and fundraising for the Food Bank's mission. He has direct oversight for the marketing, communications, volunteer management, fundraising, food sourcing, and capital campaigns. Prior to joining the Food Bank in 2011, Guerra served many years as nonprofit and faith community leader in Austin, TX. Guerra also spent a decade as an adjunct instructor at St. Edward’s University (Austin) and guest lecturer at the LBJ School of Public Affairs (University of Texas, Austin), teaching in the areas of social policy and nonprofit management. Guerra holds a M.A. degree in Sociology (organizational development and planning) from Fordham University (Bronx, NY) and a B.A. degree in Religious Studies from St. Edward’s University (Austin, TX).